A4 has been working with Colorado Rocky Mountain School for a while now on refining their campus, including designs for two new dorms and a music studio and rehearsal space. During their current interim week, CRMS students are creating a chandelier for the reception room of the new North Dorm. 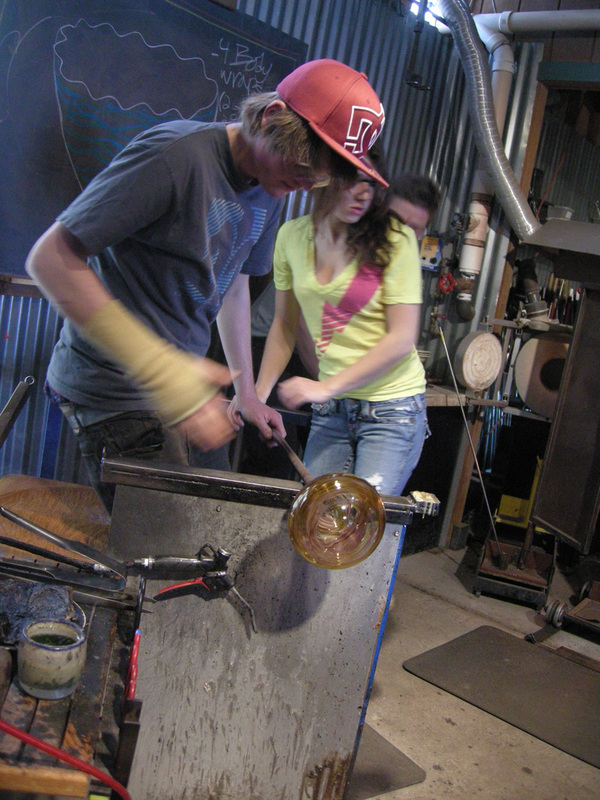 Working together, the glass blowing and blacksmithing classes designed the metal and glass piece, starting with a small scale model shown below. Now they are in their separate studios making the glass and steel portions of the structure, which will later be fit with LED lights. While the North Dorm is still just a building shell, the students are already anxious to move in. The blog has postings of things we like, projects we're working on, and images and ideas that inspire us.